Communities across the country are celebrating National Work Zone Awareness Week. 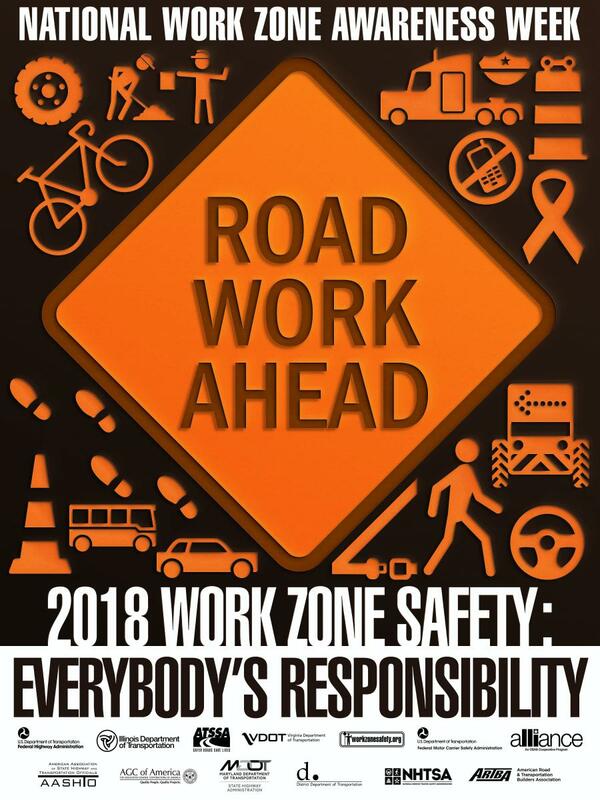 Events touting the 2018 slogan, “Work Zone Safety: Everybody's Responsibility,” will be held the week of April 9 to 13 with the goal of getting drivers to slow down and pay attention when they travel through highway work zones. With the push to rebuild the nation's infrastructure there are thousands of workers on sites across the country building and repairing bridges, highways, tunnels and more, the American Association of State Highway and Transportation Officials (AASHTO) reported. These workers face dangerous conditions on the job: according to data from the Federal Highway Administration (FHWA), there were 683 fatal crashes in work zones in 2016 alone. Of those crashes, 190 involved a speeding vehicle. To learn more about what your state is doing to promote work zone safety this week, visit www.workzonesafety.org.